As many readers of this blog know, I have written two memoirs. One of them, At the Mercy of Strangers: Growing Up on the Edge of the Holocaust, is an account of my experience as a hidden Jewish teenager during World War II. It relies heavily on my war-time diary, which I kept while I worked as a “mother’s helper” with false papers in Nazi-occupied Belgium, to tell the story of my family’s escape from Hitler, and our survival. 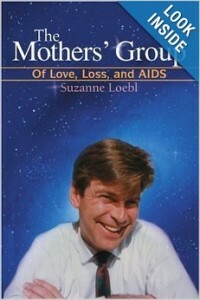 The other memoir is The Mothers’ Group: Of Love, Loss and AIDS. In 1983, my son David was infected with HIV. Almost 40 years after I escaped peril in Europe, I found life closing in on my family again. I once again kept a diary of sorts, and joined a group of mothers whose children were also affected by the then-fatal virus. Of the 355 women who came through our group, every single one lost their child. My personal battle was over on May 24, 1993. A few years after I lost David, I sat down to write about the experience. The book is much more about life than about death. It is about David and his love of life, and about his generation in the gay community, for whom AIDS was a terrifying rite of passage. Both of these books have been available in print for some time, but I am so glad to announce that my granddaughter Naomi has recently reissued them in digital form. In addition to the print editions, you can now order both memoirs as e-books from Amazon.com: At the Mercy of Strangers (Kindle edition); The Mothers’ Group (Kindle edition). You can also contact me at suzanne.loebl [at] gmail [dot] com for autographed, old-fashioned, lavishly illustrated print copies. Part of the mission of this blog is to be a question and answer forum. If you have any questions for Suzanne Loebl please go to the 'Contact Me' page and ask! Name not required. Branching: Thoughts of An Ever-Curious Author A romp through art shows, books, restaurants and everyday happenings as viewed by a prize-winning author. A love story about a mother and her son: Inspiring, powerful, and comforting. Diary and story of a teenager surviving the Holocaust in Nazi-occupied Belgium. 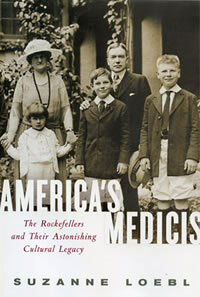 The Rockefellers: Facts and novel tales about this first family’s founding of, and gifts to, 27 museums and other institutions. A blog, forum and platform for parents and family of gay children of all ages. Part of the mission of this blog is to be a question and answer forum. If you have any questions for Suzanne Loebl, please go to the 'Contact Me' page and ask! Name is NOT required.